BOOK 3 — Talon is returning to the Holy Land to search for his beloved Ravan, but Fate has other plans for him. When his ship is wrecked off the coast of North Africa in a storm, Talon and Max, his sole surviving companion, escape captivity and the threat of execution, only to risk their lives preventing a massacre. 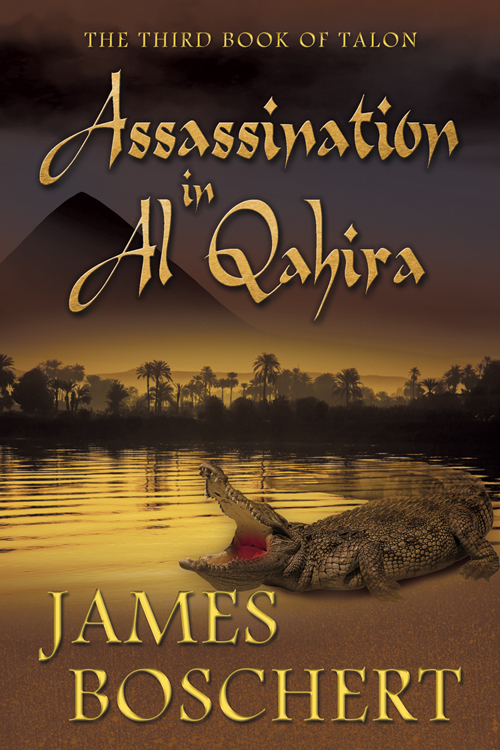 Barely surviving the ambush they interrupted, they find themselves in the care of a wealthy Egyptian family in a region known as the Fayoum. Life is peaceful for a short while, but disaster strikes when they are recognized as former prisoners. Their lives are spared, but they are made slaves. Brought to Al Qahirah, they find a city seething with old enmities, intrigues, and treachery at the highest level. As friends of Sal Ed Din, the entire family is targeted for destruction. Harried from every quarter by hired assassins and mercenaries, Talon calls on all his skill as an assassin to protect the children he has sworn to guard with his life. On the playing field of the Sultan, in palaces, in a secret kingdom hidden beneath the streets of Cairo, and on the Nile, Talon and Max must balance keeping their solemn oath with their determination to escape and resume their journey to Jerusalem! “This is one of the best books and series that I have read this year. Get updates on my next novel and occasional news.